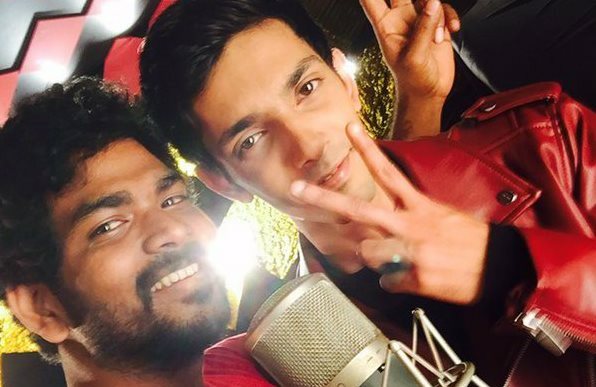 After the success of Naanum Rowdy Dhaan, director Vignesh Shivan has once chosen Vijay Sethupathi for his next. Director Vignesh has done a movie "Naanum Rowdydhaan" starring Vijay Sethupathi and Nayanthara was a hit and he has once chosen Vijay Sethupathi once again for his next. Titled Kaathuvaakula Rendu Kadhal, the film is a breezy love story bankrolled by AM Ratnam. The film is likely to go on floors next month. The latest buzz is that the director Vignesh Shivan has once again roped in Anirudh Ravichandran as the music director for this project. Since the combination of Vignesh, Vijay Sethupathi and Anirudh gave a superb hit for the movie they have again joined hands together. Rumour says that Nayanthara who had already worked in Naanum Rowdydhaan might join the young team again. An official announcement is expected soon.